We try to propose variety on this site, and to renew from time to time the texts. But we're never safe from theft or plagiarism by other French or foreign webmasters, bloggers, Wikipedia... and something rare or unique at first becomes a banality. We do not run after praises so we don't really intervene (especially since some of the contents here is illegal as well), but please, write down your sources when you write a page using our contents, even a small line is enough, in order to respect all the hours of work provided by others on the web. 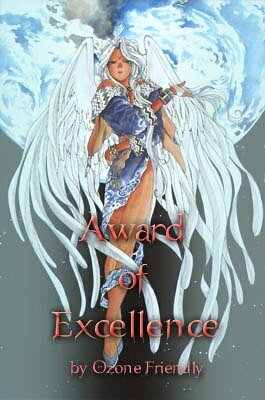 After all, Angel Sword counts no less than 90 pages. Any reproduction, even partial, of the texts from this site is prohibited. 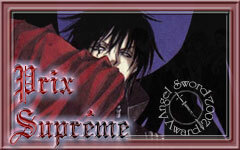 All rights reserved to www.angelsword.net, except for press articles which belong to their authors. © Kaori Yuki/ Hakusensha, Kodansha. Vous pouvez les télécharger pour usage privé, mais ne pas copier nos galeries entières sur votre site. 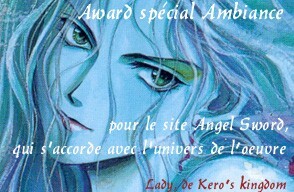 Si vous voulez utiliser nos scans, un lien vers www.angelsword.net afin de citer votre source sera hautement apprécié, compte tenu du temps passé à scanner et nettoyer les images. Ne réutilisez pas nos vignettes ni les images que nous avons modifiées ou découpées pour la mise en page SVP, cela s'apparente à un grossier pillage. Ne liez pas directement nos images, wallpapers ou autres fichiers, copiez-les sur votre propre compte ou chez votre hébergeur SVP. Cette méthode peu scrupuleuse s'appelle du vol de bande passante, et est réprimandable : au pire des cas nous sommes en droit de contacter votre hébergeur qui clôturera sans mal votre compte. Belong to us. You can download them for private use. 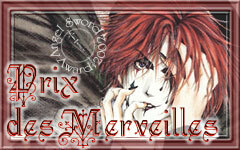 If you want to spread them over internet, you must ask us first, then write that they come from www.angelsword.net. Attribution - Non Commercial - No Derivatives [4.0 International]. Belong to their respective creators. In no way can you use them on your site or another one without their consent (contact us about it first). elong to their respective creators. Usage of dollz on internet works through "adoptions": you have to create on your site a special area dedicated to dollz display and indicate all the credits requested by the owner (their conditions are usually explained on their site). You can not use them in your template or as an avatar, unless the creator is OK with it. If any doubt, it's always better to write to them. 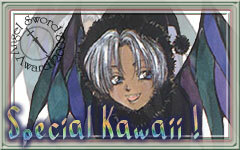 Kiss dolls games that are downloadable here have been uploaded upon consent of their creators. If you want to propose them on your site too, please ask them first, bear in mind that the work to create a Kiss (.LZH file) is just huge. Intrinsically mp3s are illegal. We propose them here as a discovery, hoping that you will buy CDs later on. 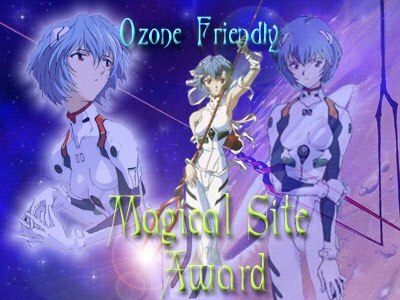 You can reuse our mp3 (well, "ogg" rather) and propose them on your site... We would greatly appreciate being credited. MIDI files have been transcribed by your webmiss Leguman and are totally free to use and broadcast. Why offering so many wallpapers on this site, rather than just giving links to other wallpapers sites? Well it's probably a silly looking hobby, a collection of fanstuff... but you could also consider this as a back-up of the web, indeed many of the older wallpapers presented here have already disappeared everywhere else from internet. For property questions, this activity is questionable, because even if we give the url and creators names, we could not ask for permission to everybody... So we avoided putting all of the creations of an author or from a site, in order to encourage you to visit it. 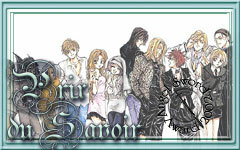 Graphics of the version 5 of Angel Sword come from the sites below. I modified most of them. Site core template: "Clean" by WpFreeware (2015). 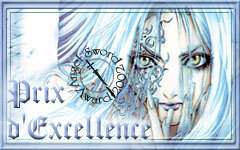 Angel Sword is a site of a certain age already. Grandpa is 16 years old after all! We must then quickly migrate the site elsewhere. 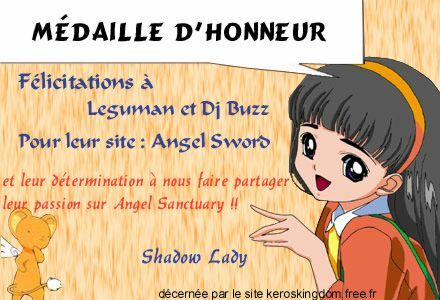 It reappers under a new domain name that we buy, on a paid server of... 250 MB: so www.angelsword.net is born on January 10, 2002. 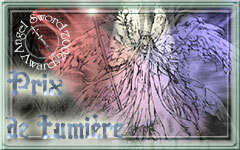 The site switches to version 2 the following summer, on August 4, 2002 and becomes blue-grey. It gets richer with various content and becomes progressively bilingual. 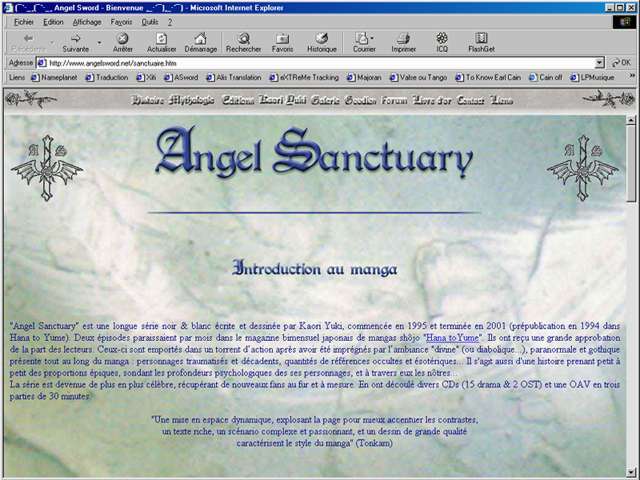 November 2, 2003 is a turning point: the site is completely remade in PHP by a close budding webmaster, and the English pages now form a mirror site which can be accessed from any page. 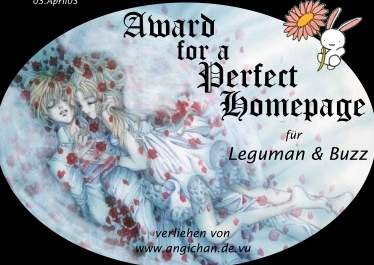 Leguman's tastes are not that appealing to the-Buzz, who has to make the site (very) purple! 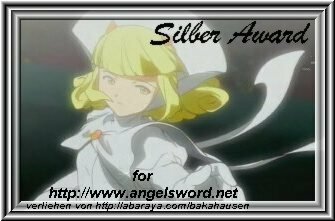 The fanbase is active and several contests and polls are run, the forum is regularly used, the bilingual specificity of the site bring foreign visitors who send their fanarts en masse, the site has a high hits rate. That's the climax! We're switching to version 4 a year later, on November 19, 2004. This is a good pace to change layout and visual rules are not yet widespread on the web, we use CSS bits not logically, we are still learning... But the virtuous circle breaks little by little: there are fewer active fans since the end of the manga (last French tome dated July 25, 2003), my first job contract in 2005... 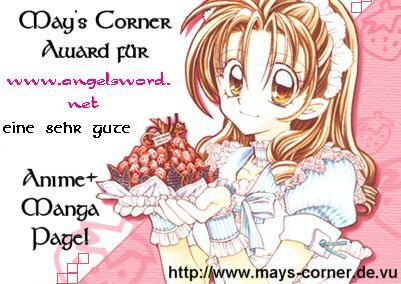 In 2006 the site is abandoned by its two webmasters! 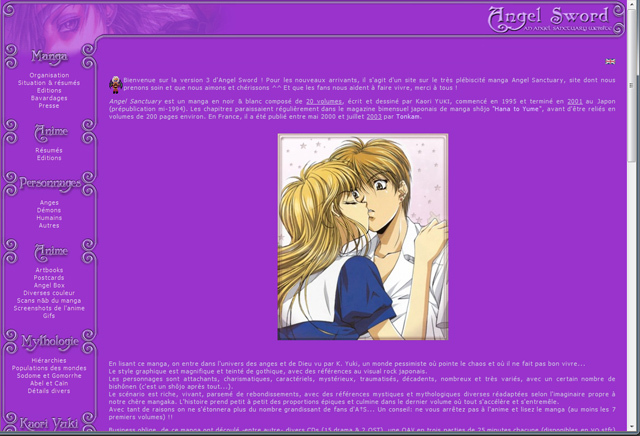 My free time becomes precious and I am more focused on my second site, which grows bigger: A Yuki Kaori Shrine. 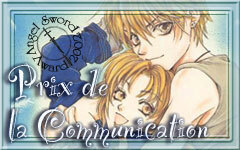 The French publisher Tonkam had planned to release the entire work of Kaori Yuki, there was just so much to do and to review! Finally, I sacrificed a lot of evenings (way too many) to adapt a free responsive template to my taste, and much efforts plus a moving to another town later... I have this time created a completely new layout and dusted more than 100 pages (actually 100 x 2 counting the English version). 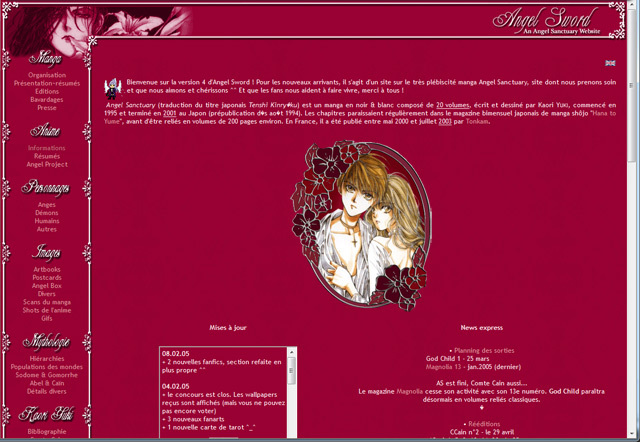 I have merged some pages (artbooks, OVA, multimedia, characters, dollz, fanarts, wallpapers...), deleted others (services: awards, virtual cards, chat, guestbook, polls, stats, webring), created some new ones (interviews, added pending fanfics, sitemap, French new covers). Overall there are fewer pages than before and the information is sorted in a smarter way. Back then, one way to federate webmasters was to offer awards to affiliates or friends sites, sharing a same topic, etc. thereby consolidating a community and improving navigation between sites with similar interests, building a network of quality. 2. Excellence: focuses on the quality of information (relevance, precision, understandability, spoilers). 3. Savoir / Knowledge: relates to the amount of information (length of explanations, number of sections, of links listed). 4. Lumière / Light: focuses on clarity of the site (ergonomics, loading time, no 404 errors, clear sitemap). 5. Communication: focuses on the interactivity of the site (guestbook, forum, chat, surveys, newsletter...). 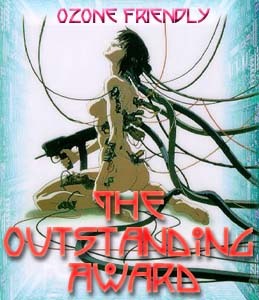 Thanks to all of you who so nicely gave us these award! Leguman & The-Buzz.